See how liveability index indicators are put into practice by Sara, an interpreter who has lived in 4 metropolis, and Slobodan, a territorial development expert. Learn from our experience how to get the most for you and your family and eventually save some money, by choosing the right place to live in. Get a closer look at the situation in Italy and Serbia, keeping in mind current global trends. Composite statistics indexes can help you choose your place of residence, or where to outsource your business. Yeah right, maybe in utopia, or in some distant future, where you will be able to look at the numbers, press a button, and be teleported to a civilisation where the slogan ‘from each according to their ability, to each according to their needs’ is reality. In the real world, families look for places where migration laws are liberal and work permits are easy to get. Also, they try to understand how many hours of work are needed to purchase necessities. Your values, lifestyles, cost of living, languages you speak and job-related skills will determine what to look for and where to look for it. Living costs around the world and the Europe. Image by [www.movehub.com]. Three years ago, after the birth of our first son, our perception of Belgrade changed. The beautiful dynamism and attractive golden ratio of chaos and harmony, East and West, and the unparalleled fluidness of Belgrade, turned for us into a maze of administrative, commuting, and health care services mess. Once it is not just you fighting for a breath in overcrowded buses, or breathing the exhaust from a nearby boulevard or highway, you change the way you perceive your city. So, after a few months spent on wasting time and patience to deal with the worst administrative bureaucracy and architectural barriers, we decided to leave Belgrade and to bypass cities where looking for a place to park your car would require more than 5 minutes. Belgrade in autumn, as seen from Beogradjanka, the tallest skyscraper in the city center. Image by [Personal Gallery]. We started looking for a place in Italy (Sara is Italian) that would meet our current (mainly parents’) needs and lifestyle. Good connections with other bigger cities in order to commute and travel as smoothly as possible, as we would need to travel a lot being both freelancers. And the result was Imola. With its 70,000 inhabitants, Imola is big enough to have municipal and State schools, two theaters, museums, libraries, big parks, sport terrains, hospitals, even a branch of the University of Bologna, several art galleries, and the Autodromo Enzo e Dino Ferrari, where the Formula One San Marino Grand Prix was held until 2006. Imola city center – via Emilia. Image by [Personal Gallery]. Imola is not as expensive as Bologna, Florence or Milan if you need to rent an apartment. You can save up to 500 EUR a month if you compare similar apartment prices in Imola and Bologna, and up to 1000 EUR a month if you compare them with Milan. Yet, using (fast) trains you can reach Milan in one hour and 40 minutes, while Bologna is just 25 minutes away (both by train and car). A monthly train pass costs 55 EUR. Depending on the means of transportation, you can reach the most fairytaily city on the globe, Florence, in an hour and a half by car or in a bit less than two hours by using cheap-but-more-than-decent regional trains. The closest international airport is in Bologna, and you can reach it in less than one hour using the Imola-Bologna train and a bus from Bologna Centrale railway station to Marconi Airport (total cost: approx. 10 €). The Emilia-Romagna region is the Italian and European leader in preschool education system and policies. You can see it the moment you step into any kindergarten, school, bar, restaurant, furniture shop or a local grocery shop. The “spazio bimbi” (En. children’s space), as they call it, here is definitely a must have, and believe me: once you become a parent, this is something you really need! In Imola, you can find this space even in the municipality offices! A miracle for someone coming from Serbia (or Southern Italy, Sara would say!). Almost all bars have some small space for children. Kindergartens here are just awesome. Schools throughout the region apply the Reggio Approach, a preschool pedagogical approach developed by Loris Malaguzzi. The aim is to foster the development of the 100 languages that every child speak. It is amazing to see that teachers really do care about the creative potential of your child. They do not just act as ‘supervisors’, preventing children from falling and getting injured and so on. The healthcare system here is among the best in Europe. In Trento (Northern Italy), services are as good as in Bologna and Imola, but their price is significantly higher. Imola’s Santerno river floats through the city center, surrounded by running and bicycle tracks. Image by [Personal Gallery]. Imola is also full of bicycle tracks, music schools, farmers markets where local (and slow!) food is sold. There is also a local astronomical observatory on a nearby hill, and the children library programs and exhibitions are a great way to engage kids in a wide range of activities. you can reach a natural reserve by the sea in 45 minutes by car and beautiful mountains in 25 minutes. The surrounding hills and forests are also breathtaking. As an example, I recently discovered a protected biosphere relict forest (Bosco della Frattona) just a 25 minute bike ride away from my house. Imola immediately got some more bonus points in my book! Imola racetrack – Enzo and Dino Ferrari International Racetrack. Image by [Personal Gallery]. The only ‘bug’ about this research is that it is restricted (due to data availability) to cities with more than 750,000 inhabitants, which leaves smaller cities out of the list. There are other lists as well, such as Monocle’s Quality of Life Survey, which observes life satisfaction, including physical health, family, education, employment, wealth, religious beliefs, finance and environment, and the Mercer Quality of Living Survey conducted to help governments and major companies place employees on international assignments. The second survey also identifies the cities with the highest personal safety ranking based on internal stability, crime, effectiveness of law enforcement and relations with other countries. You can also take a look at The Happy Planet Index which, in addition to standard determinants of well-being, uses each country’s ecological footprint as an indicator, or the World Happiness Report and Social Progress Index measuring the extent to which countries provide for the social and environmental needs of their citizens. In Italy, research on livability has been conducted for 18 years now by La Sapienza University researchers. Almost one week ago, the results of the 2016 survey were published on the financial and political magazine Italia Oggi. Besides the changes in comparison to the 2015 survey, the most important conclusions concern the trends revealed by the data gathered for 18 consecutive years. By looking at the preliminary data, researchers discovered that 53.9% of the Italian population lives in regions where the standard of living is insufficient (19,301,000 inhabitants) or low (13,431,000 inhabitants), while 15,399,000 people live in acceptable living conditions and 12,599,000 people live in regions where the standard of living is perceived as good. This shows a rather gloomy division of Italian society, between people satisfied to less satisfied with their living conditions (see next image), and a majority of unsatisfied living in the Bel Paese. Researcher also noticed that big and medium-big urban centers are less likely to get the excellence (rating) in terms of livability. Rome (ranked as 88/110) is for the first time among the group of provinces having an insufficient standard of living. Neaples is ranked as 108/110, also insufficient, Milan has fallen for 7 positions on the ranking list and is now ranked at 56, while Turin is the only city that advanced 6 positions and reached the 70/110 position. The third general conclusion is that small and medium-sized provinces have greater resilience to contemporary processes of deindustrialization, probably due to their more locally embedded productive tissue. The results of this survey lead to conclude that North-Western provinces are more vulnerable to the effects of internationalisation and relocation, and that for the first time, a rising polarisation between North-West and North-East is noticed. However, when it comes to polarisation between North and South, there is nothing new under the sun: out of 54 provinces with insufficient or low quality of life, 6 are located in the North-West, 2 in the North-East, 7 in Central Italy and 39 are in Southern Italy and the islands. The map of the 2016 Italia Oggi survey on the quality of life. Yellow – good; Green – acceptable; Red – low; Blue – insufficient. Image by [www.greenme.it]. Also, the newspaper Il Sole 24 ore has created an interesting, interactive map about the quality of life in Italy ‘where you can search your ideal city’, as they say. You can check the map here. In Serbia, our sort of liveability index is the Social Development Index of Towns and Municipalities published by the Social Inclusion and Poverty Reduction Unit of the Serbian Government. Data is available for a four year period (2011-2014), and the Index allows you to compare quality of life per town and municipality, divided into six categories, namely: demographics, economic activity, education, social protection, healthcare, and other indicators of the quality of life and social participation. The economic North-South division is something polarising Serbia, as well as Italy. Almost two thirds of the manufacturing industry is concentrated in two regions (the Belgrade Region and the Vojvodina Region), accounting for only 31% of the country’s territory. According to the 2014 Labour Force Survey, the number of unemployed working-age people amounted to 607,400. The corresponding working-age population unemployment rate stood at 19.9%. Currently, the 15-64 unemployment rate is highest in the Southern and Eastern Serbia Region, at 23.3%, followed by the Vojvodina Region at 20.3%, the Šumadija and Western Serbia Region at 19.2% and the Belgrade Region at 17.4%. Another significant division in Serbia is between urban and rural regions, where rural municipalities provide less access to services, education and healthcare. This is maybe most obvious when looking at the preschool coverage for children age 4, which in the school year 2014/2015 stood at 50.9%, while the coverage for children aged between 3 and the enrolment age stood at 38.3%, with children from rural areas and marginalised groups being considerably more excluded. This is important data for a country where still 45% of the population lives in rural areas. On the other hand, this is good news for all the lovers of organic food and pure air. But don’t forget that if you need a doctor, you have to drive on bad roads to get to a hospital where some of the equipment is still from the end of 1980’s. The map of the average monthly salary in Serbia by municipality. Dark red: 180 – 250 EUR; Light red: 250 – 370 EUR; Yellow: 370 EUR; Bright green: 370 – 480 EUR; Dark green: 480 – 570 EUR. Image by [www.drina.info]. From infrastructure, living costs and pollution to education, culture and religious beliefs, there are many aspects to consider when we speak about liveability. It’s all up to you and your preferences. 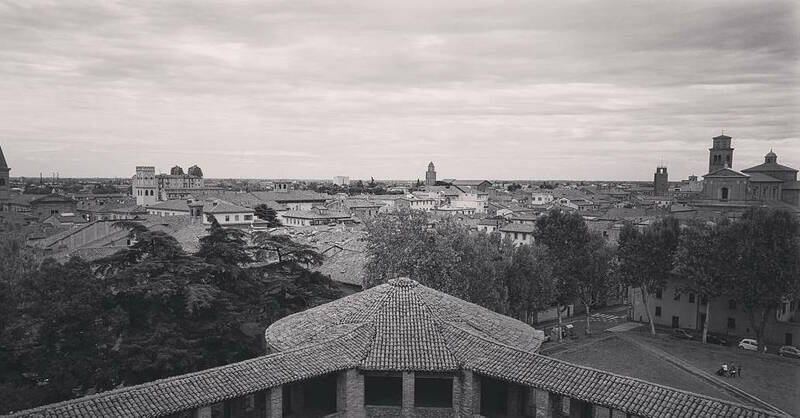 For the time being, Imola is the closest example of the ideal place for parents with kids, and this is why we are going to stay there for the coming years. Well connected, not expensive, with excellent healthcare and education services, and a lot of public parks and green spaces all around. Here, a note by the author could go like this: ‘For those of you not ready to get used to the sound of race cars echoing during springtime and summertime, maybe Imola is not the best place to stay’. However, after two years here, we must also add that our son loves it and he’s also a bit disappointed when he does not hear the sound of “Formule” – as he likes to call them – for months. I have also learned a lot about the Formula 1 championship – which is something I had completely ignored before coming here. My personal opinion is that someone in the local government is really working consciously to make Imola attractive to families with small children or kids living in nearby cities, so they can move there. They are trying to make a comparative advantage of Imola’s livability and thus increase the taxpayer base. Did I mention that our son got a spot in the kindergarten in just one day? We went to the office, and the very next week we started with the so-called ‘integration period’. This proactive approach towards parents seems to work. We met at least 4 families with small kids who actually left Bologna, Ravenna and Ferrara and moved to Imola.